January 27, 2015  At the same time, a new Interior Department plan designated nearly 10 million acres in Alaska as off-limits to any future oil and gas leasing. Reaction has been mixed to the draft plan. December 9, 2014  Faulty gear and attempts to clear liquid from wells can release enough gas to power hundreds of homes, new research reveals. Scientists say finding the leaks is a first step to plugging them. July 24, 2013  A blowout on Tuesday forced 44 workers to evacuate. Later, a blaze broke out. 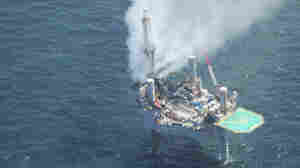 Officials say the damage to the environment should not come close to that caused by the 2010 Deepwater Horizon accident.